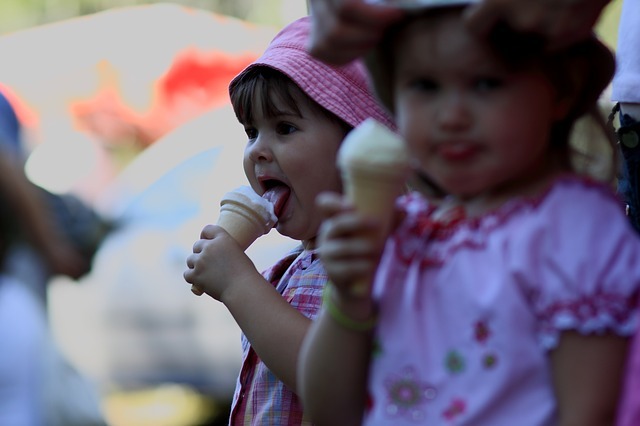 Regardless your country of birth, one of your sweetest childhood memories will be most likely linked to Ice Cream! Worldwide, ice cream has become a cult frozen treat, an integral part of summer for everyone regardless their age. But does the world of ice creams begin and end with the churned version? The answer is a big, fat NO! Depending on the country you live in or visit, you will find that there is more to this frozen dessert than creamy scoops. 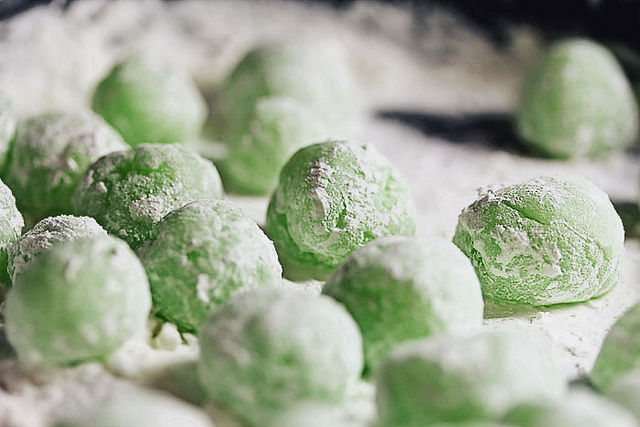 From stretchable Turkish Dondurma to stuffed Japanese Mochi, ice cream means different things to different cultures. The saga of ice cream began when ancient civilisations used frozen water or snow to create ice treats. The ancient Greeks and Romans mixed snow with fruits and honey, while ancient Chinese enjoyed a frozen milk and rice treat flavoured with camphor. The Persians went one step further and built ice houses to create frozen treats with vermicelli, rose water, fruits and aromatics. 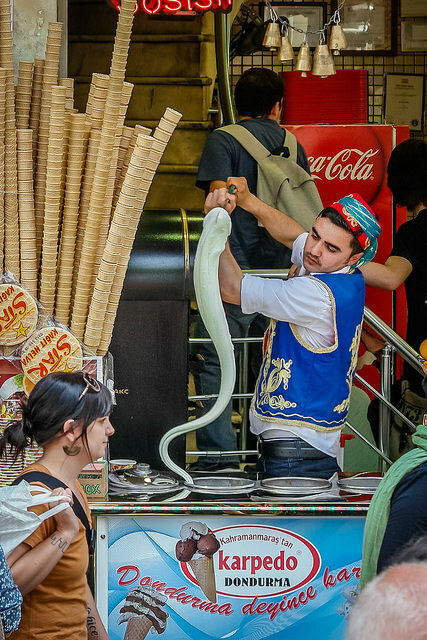 This guides takes you on a global journey in search of traditional ice creams. Enjoy a sneak peek into other popular forms of this frozen treat, that goes far beyond creamy colorful scoops! This is a dessert fusion of East and West, where Japanese Mochi meets American ice cream. Pastel-coloured balls of ground sticky rice are filled with different flavours of ice creams ranging from green tea to red bean. If you love unique ingredients and a no-mess ice cream, you’ve found your match! This frozen dessert, also called Eskimo ice cream, is made with wild berries, animal fat, and sugar. 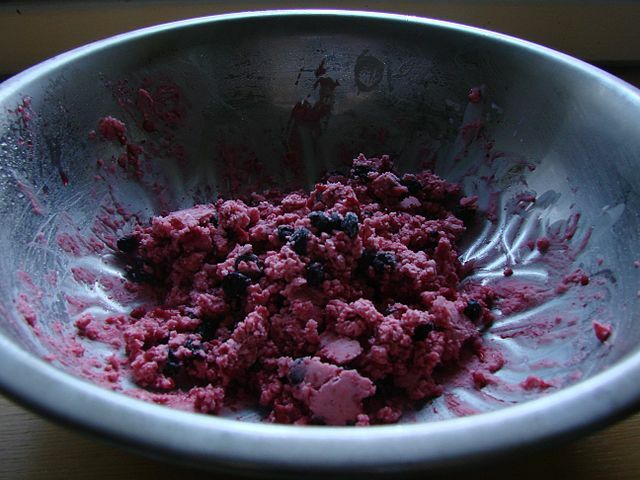 Originating in Alsaka, Akutaq now comes in numerous berry versions made with lard and whipped cream, including crowberry, cloudberry and salmonberry. Kettle ice cream is a hand-churned ice cream originally created by indigenous tribes in Ibarra. They combined snow with cane sugar and fruit juices in bronze pans. 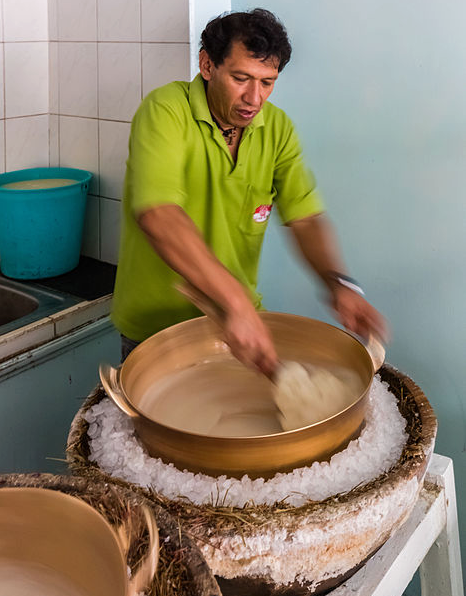 Helado de Paila is still hand churned in urban ice cream parlours, but in copper kettles. Be specific when you order spaghetti in Germany or you may end up with ice cream for lunch or dinner. 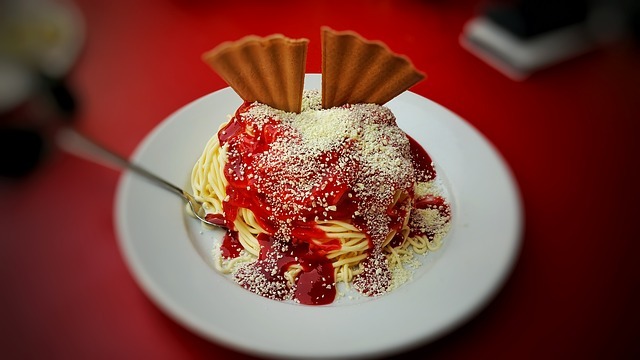 Spaghetti-eis, is a novelty concoction popular in Germany from the 1960s. Vanilla ice cream is pushed through a potato masher or ricer with holes. The rice-like pieces are then topped with strawberry sauce, grated almond, and coconut flakes or grated white chocolate. Kulfi is a frozen milk dessert with a creamy, chewy and custard-like texture. Milk is sweetened with sugar, condensed to a thick liquid, flavoured with spices and nuts, and traditionally set in earthen pots filled with ice and salt. Classic flavours include pistachio-almond, saffron, mango and cardamom. 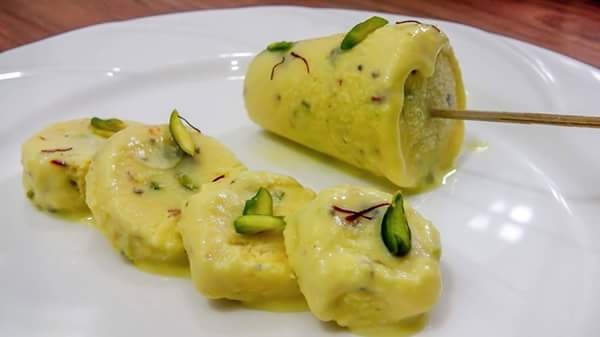 Kulfi is served as a log, on a stick like a popsicle, or as sliced pieces. 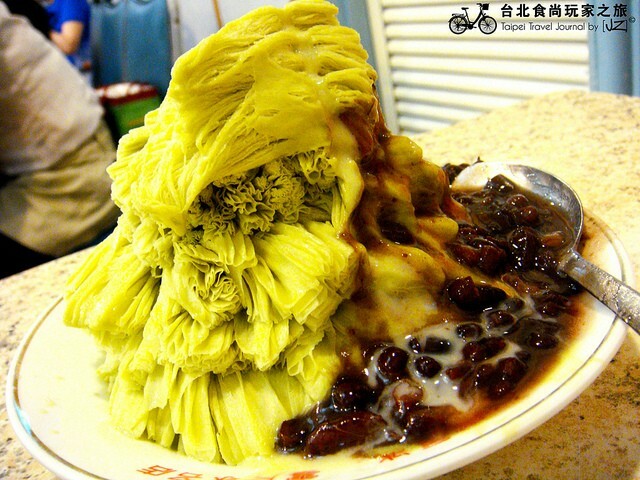 While Taiwan is famous for shaved ice desserts, this one takes the cake. The ice in this dessert is frozen milk converted into flowing ribbons. With its airy and delicate texture, Snowflake Ice resembles regular ice cream. 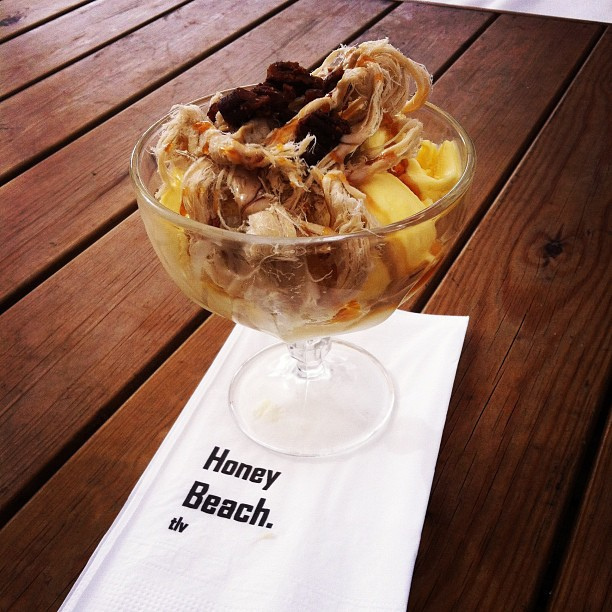 Top your shaved milk ice with fruits, condensed milk, sweet sauces, sesame, peanut or red beans for a delectable taste. 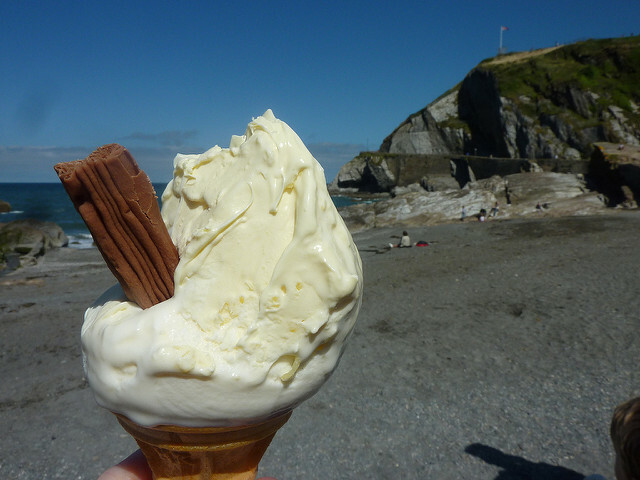 If you’re keen on tasting ice cream made with clotted cream, head to Cornwall in England. High-fat cow’s milk is heated in a water bath or steam and then cooled to allow cream to rise to the top. This cream is used to make ice cream and gives this frozen delicacy a deliciously rich texture. Is the Mediterranean sun a bit too much for you? Beat the heat when you’re in the holy Land with some delectable Halva ice cream. Halva, not to be confused with Indian halwa, is a sweet candy made with mashed sesame seeds, eggs and cream in a date-sugar syrup. 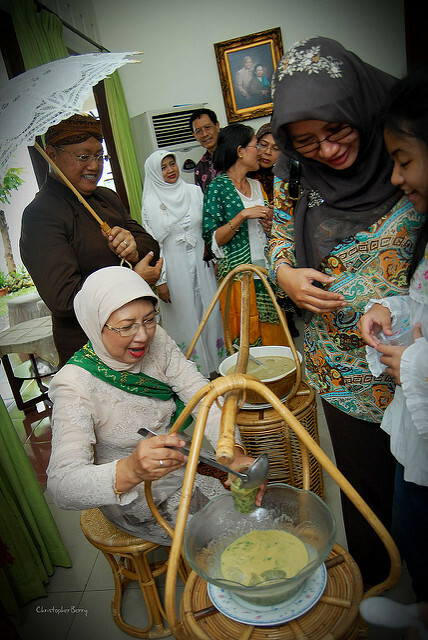 A perfect treat for hot, humid days, this traditional ice cream is made with coconut milk, crushed ice, and green rice flour jelly (cendol). This delicious dessert is then topped with liquid palm sugar. You’ll be forgiven for mistaking this frozen dessert for a pastry. 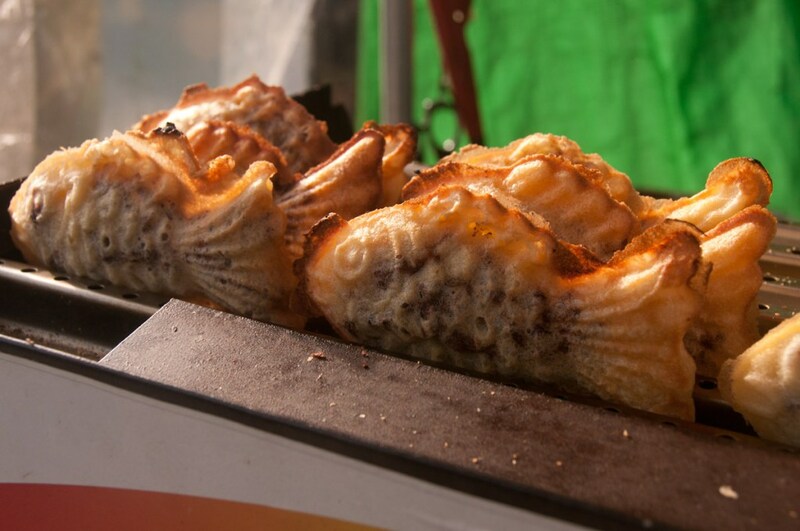 The fish-shaped pastry is made with a waffle iron and traditionally filled with red bean. But these are now given a frozen makeover with ice cream fillings. These bright coloured ice pops come in juice-based and milk-based versions. 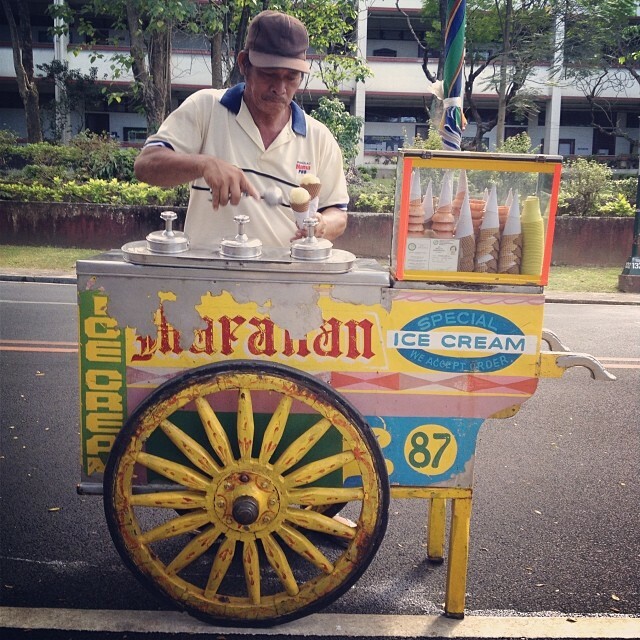 You’ll find luscious ice creams with unique pairings like chili-mango and soursop or odd flavours like tequila ice. 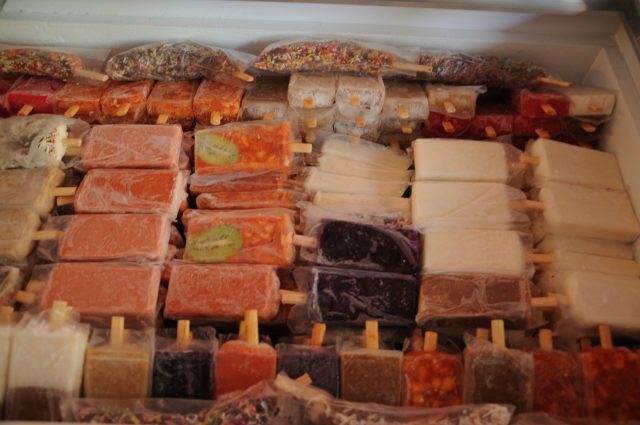 An original paleta has chunks of fruit embedded in ice cream. Originating in Maras region in Turkey, this ice cream is unique in many ways. Salep, a root flour from the Purple Orchid gives Dondurma its thick texture. The resin mastic gives it flexibility. When you combine these two with milk, flavourings, and sugar, you get an ice cream that doesn’t melt. Sold by street vendors who churn it with long-handled paddles, this cone ice cream is stretchy and chewy. You can’t really recreate it at home because salep imports are banned by Turkey. Plombir is the most popular ice cream in Russia, which is often served in a uniquely-shaped waffle. It is made from whole milk and a fair amount of cream, that gives it a unique creamy and milky taste. The recipe was adapted from French ice cream during the times of Napoleon, and is the favourite childhood treat of all Russians. While its name translates to dirty ice cream, this dessert is anything but that. Made with coconut milk and cassava, it is usually served by street vendors on a bun or in a cone. You’ll find many flavours in this creamy treat from purple yam to mango. 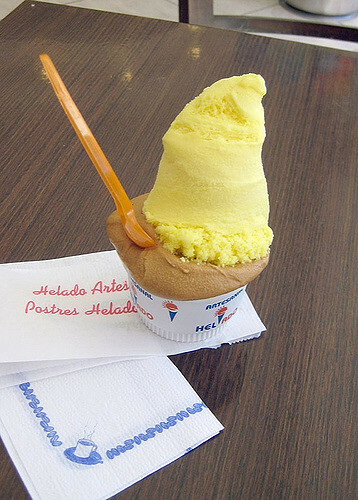 If Mexico has its Paleto, then Argentina has its Helado. This rich and creamy ice cream comes in varied flavours. The vendor piles different scoop high on the cones leading to a dripping ice cream experience. 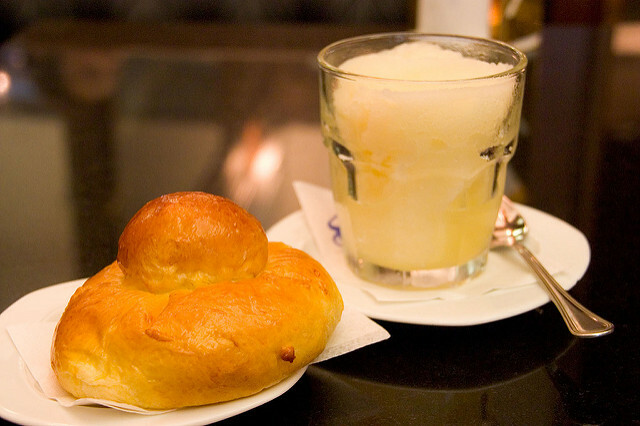 Everyone knows world-famous Italian Gelato, a classic artisan ice cream, but have you ever tried Granita? It is a traditional Sicilian frozen dessert, that is prepared from water, various flavourings and sugar, and will vary from city to city in its taste significantly. Granita is sweet but utterly refreshing, and if you want to have it like a local, try almond or pistachios flavours, with brioche on the side! How many of these traditional ice creams have you tasted? Do you have other ice creams suggestions you’d like to include in this list?